FedoraMi is a Milanese handbag brand that started in 2011. 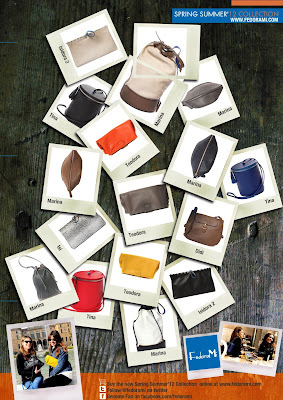 All the bags are handmade by Milanese craftsmen using real leather. The brand's second collection, the spring/summer 2012 was inspired by the 1960s and 70s, is out now. The colection's Ishi bag is a result of a collaboration between FedoraMi and Ani Lee, a fashion designer. You can shop the collection through their website.